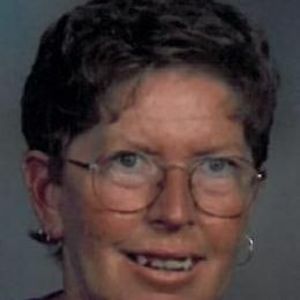 Margaret Ellen Baker, 65, of Wabash, Indiana, died at approximately 5:30 a.m. Wednesday, March 14, 2012 at her home. She was born September 9, 1946 in Wabash, to Thomas Eugene and Mary M. (Haley) Keith. Margaret was a 1964 graduate of Northfield High School. She married Sam Lee Baker in Wabash on March 13, 1965; he died January 30, 2001. She worked for Ford Meter Box in Wabash several years. Margaret was a member of Bachelor Creek Church of Christ. She loved doing special things for others and enjoyed being with family and friends. Margaret was active in the Springside Fitness Center where she had many friends. She also had several close friends at Ford Meter Box. She is survived by her brother, Thomas L. Keith of Indianapolis, Indiana; sister-in-law, Barbara (Kenneth) Marshall; and brother-in-law, Rick (Linda) Baker, both of Lagro, Indiana; good friend, Bryce Mosey of Indianapolis, nieces, Lisa Beckham and Tammy (Jason) Truman, both of Lagro; nephews, Mike Marshall of Lagro, and Jason Baker of Markle, Indiana; great nieces, Brittany and Lacie Beckham, and Destynee Bayliss, all of Lagro; great nephews, Jacob, Jonah, and Jaden Truman, all of Lagro. She was preceded in death by her parents and her husband. Funeral services will be held at Grandstaff-Hentgen Funeral Service, 1241 Manchester Avenue, Wabash, on Tuesday, March 20, 2012 at 10:00 a.m. with Solomon David officiating. Burial will be in Memorial Lawns Cemetery, Wabash. Friends may call 4-8 p.m. Monday at the funeral home. Preferred memorial is Springside Fitness Center at Wabash County Hospital.